Performance at Experimenta : Málaga, calle don rodrigo, 4, Málaga, Spain. Start 20h30. 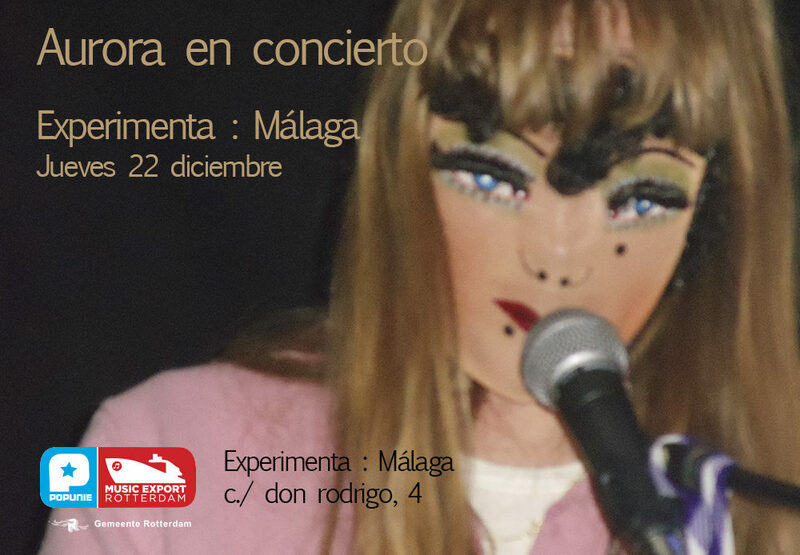 Organized by Inma Bernils. FB event. Video impression of the performance with project ‘Aurora’ can be seen here. Janneke van der Putten’s travel to Spain is supported by Popunie Music Export Rotterdam and Municipality of Rotterdam.